GEI Works offers a vast selection of liquid storage tanks for sale, most with the option to customize the tank to your specific project. Storage tank options include: corrugated steel, fiberglass, plastic, and flexible fabrics. Each storage tank for sale is made in the USA, and our selection can accommodate a wide range of liquids and volumes. Look through the options below to find the storage tank that will meet your requirements, or contact our specialists to find the solution that will deliver the desired results. Questions about types of storage tanks? We can help! Call GEI Works at 1-772-646-0597 or fill out our quote request form to discuss your requirements. Corrugated Steel Tanks are ideal for bulk liquid storage and rainwater collection. Perfect for potable water, non potable water, wastewater treatment, frac water and grain storage, these steel storage tanks for sale can be built to nearly any size to suit your location. Corrugated Tanks can be made as small as 700 gallons and as large as 625,000 gallons. Please view our Steel Tank Page for more sizing information. Pillow Tanks are an excellent choice for static liquid storage or temporary storage of drinking water, rainwater, fuel or food grade liquids. While they are most commonly used in commercial and industrial applications that require high volume water storage, they are also frequently implemented in residential and small-scale applications. Sizes start at 25 gallons and go up to about 210,000 gallons. See sizes and specs of pillow storage tanks for sale. Additional flexible tank options include Self-Supporting Onion Tanks and Folding Frame Tanks. Pillow tanks have the unique ability to be used in oil field and mining locations. An economical and durable alternative to standard Steel Frac Tanks, Frac Pillow Tanks are able to store up to 5000 BBLs in a single tank. 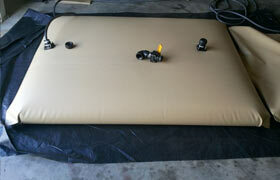 This significantly reduces the number of tanks required and also saves on shipping costs. For more storage options, check out our complete Steel Storage Tank Variety. 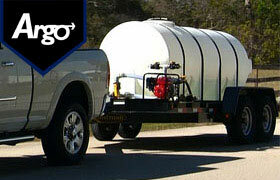 We make Argo Water Tank Trailers as turn-key solutions that are rugged, reliable, and DOT-compliant. Each unit is made in the USA and delivered ready for operation. Use Argo water trailers for dust suppression, turf watering, tree spraying, landscaping, agricultural use, or water transportation. 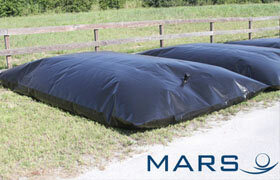 They are available in 500 gallon, 1,000 gallon, and 1,600 gallon capacities. Other sizes and tank colors are available on request. Our Plastic Storage Tanks are robust, corrosion resistant, and able to store drinking water, chemicals, gray water, and more. They are an economical storage tank choice for rainwater collection, potable water storage, or agricultural products. These tanks offer versatility, longevity, and high strength for liquid storage in your location. Please browse our plastic tank categories for more storage tank options. Read our blog post and learn How Storage Tanks Fit into a Disaster Preparedness Plan. Questions about storage tanks for sale? We can help! Call our team at 1-772-646-0597 or fill out our quote request form to discuss your requirements.